If there is one thing most garages have in common, its that floor space is not easy to come by. 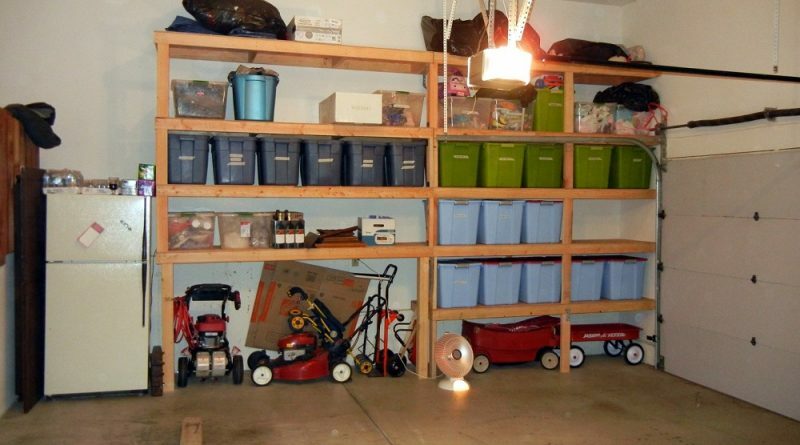 The garage is often a room that is used for storage overflow, which is fine when you are prepared for it, but when youre not, storage becomes another word for clutter. The best way to clean up a space overcrowded with storage is to find ways to get things up and off the floor. Therefore, the best solution is garage cabinets. Coming in a variety of sizes and styles, it is easy to become overwhelmed by the selection of cabinets, but the choices typically come down to four different types. When discussing garage storage cabinet systems, you will typically find information on large floor-standing cabinets. However, one of the best solutions for people without a lot of floor space are upper cabinet units. These are wall-mounted units, meaning that you can install each above a workbench or in other areas that were previously unavailable. While similar to uppers, lower cabinets are stockier and are typically on casters. These storage solutions are convenient because each can be maneuvered around your garage with ease, meaning that you can put the units wherever is most suitable for the moment. Full-size cabinets can come in permanent installation models or on casters. These units are tall and are usually heavier with locking options. Track systems are wall mounted units that allow for interchangeability as well as some open storage options. These systems are made of several rails that are mounted horizontally and parallel to each other. Also, each system has specially designed cabinets, hooks, and anchors that allow you to swap out units along the rail, making this system highly versatile. No matter your final decision, garage cabinets are an excellent way to organize your belongings and make your garage functional again. Whether you choose to go with all uppers or a mixture of cabinetry, your garage can be customized to your storage needs.